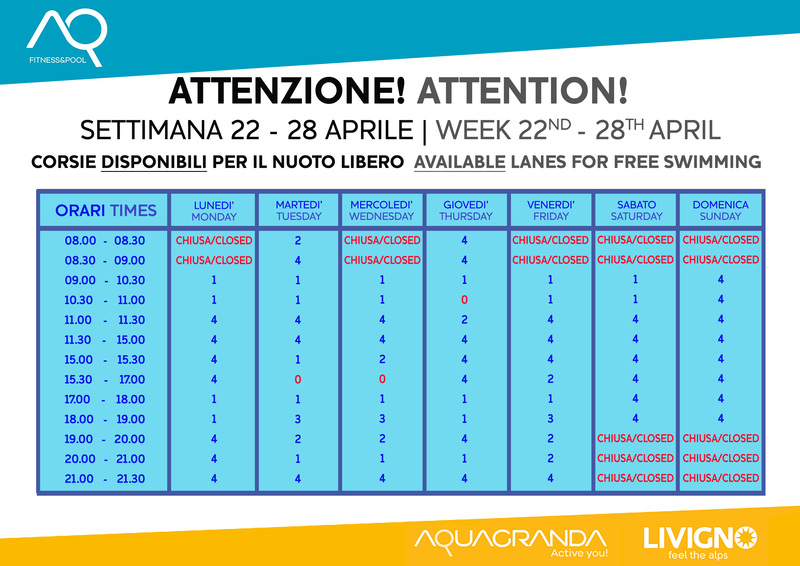 National Team are training in Aquagranda, for this reason, the 25-meter pool will be available only at limited times. 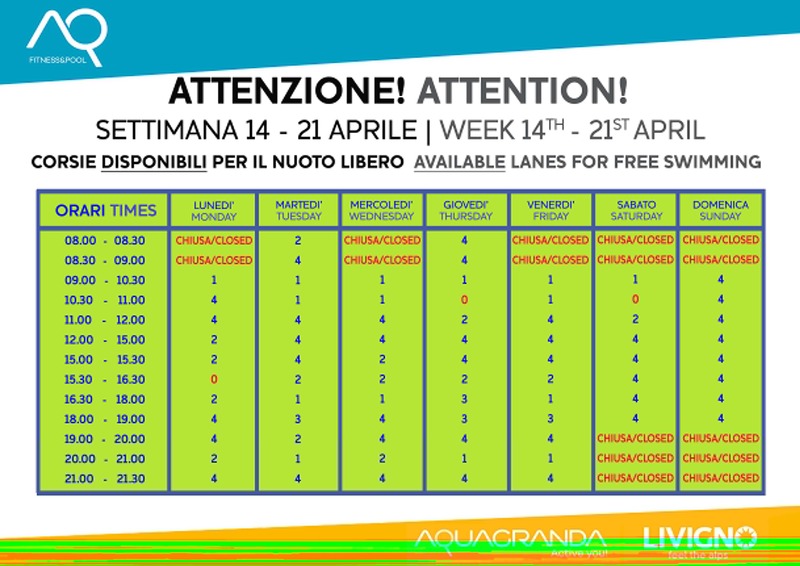 See the attached available lanes. Thank you for the collaboration!